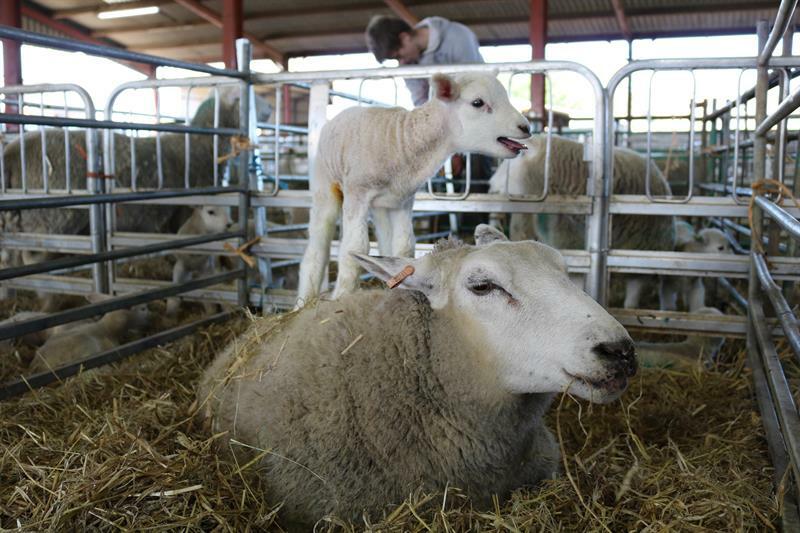 Would ewe baa-lieve over 1,000 lambs born? THE ARRIVAL of hundreds of single lambs, twins and triplets made for an exciting and successful first Lambing Weekend at Wiltshire College. Mothering Sunday also saw the arrival of one set of quads, which was a treat for those visiting the lambing sheds. The cold weather and snow at the end of February, saw lambs start to arrive a little earlier than planned, with more than 600 being born ahead of the event. Ian Revill, assistant principal at Lackham, said the first weekend and the Saturday of the second weekend were a great success with everyone in really good spirits despite some cold weather. Unfortunately, on the Sunday of the second weekend, the amber snow warning led to the difficult decision to cancel the event, due to health and safety issues. The students (who mainly live on campus) had to continue to deliver the lambs regardless. DOZENS OF giant animatronic predators will be greeting visitors to Longleat this spring as part of a new attraction. Predators showcases a menagerie of moving models, including a deep sea anglerfish, a giant 12-metre-long saltwater crocodile, a polar bear, a Komodo dragon and a 3-metre-tall spitting cobra, which actually spits. Located in and around Longleat’s Main Square, each of the models is set within its own environment and linked by a series of interpretation boards describing how these special animals use their unique adaptations to become some of our ultimate predators. One of the scenes features a male lion looking down from a rock ready to steal a zebra carcass from a pack of hyenas. The scene comes complete with authentic roars, yips and snarls. Another portrays a giant red-backed shrike, also known as the butcher bird, sitting on a thorn bush where its victims, including a lizard, ladybird, beetle and grass-hopper are all impaled on spikes. Alongside modern carnivores the attraction features prehistoric predators with a magnificent sabre-toothed cat and a 10-metre Baryonyx dinosaur brought thrillingly back to life. There’s even a giant Venus flytrap plant which visitors can trigger into action by throwing over-sized flies into its alarming snapping traps. GIN LOVERS will be well looked after at The Methuen Arms in Corsham on April 21, where a dedicated Gin Festival will be taking place. This day-long celebration of all things gin, includes tasty tipples, expert talks from artisan suppliers and gin-flavoured food to tantalise your tastebuds. Taking place from 12.30pm to 4.30pm at The Methuen’s sleek downstairs bar and restaurant, five expert gin makers, including Cotswold Gin and The Little Gin Company, will be on hand to showcase their drinks, give tastings and interesting talks. The Methuen’s award-winning kitchen will serve up a host of gin-inspired food to tuck in to. There will also be live music and a complimentary gin glass and cocktail for all guests on arrival, as well as a local glass maker who will be selling beautifully-crafted gin glasses. • Tickets £10 can be obtained on 01249 717060.